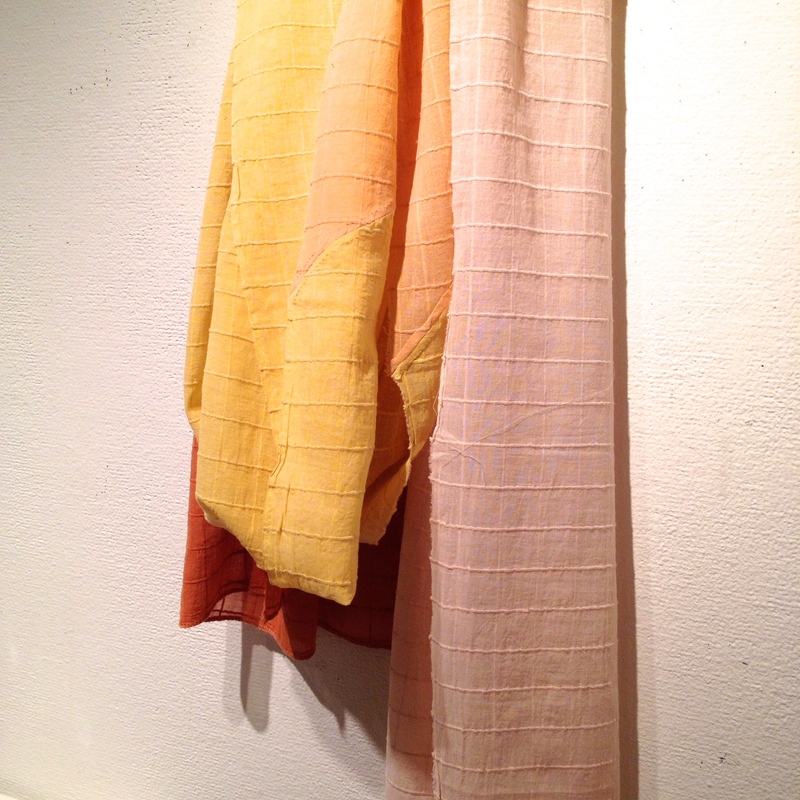 Now showing through Sunday, April 13, 2014, Fujisaki Hitoko’s uniquely dyed textile art works are at the AC Gallery in Ginza, Tokyo. I found Fujisaki-san to be very personable, amazingly talented, and her show to be worth the trip to Ginza. These beautiful earth tones from the palest of sakura pinks to the rich terra-cotta reds are all obtained naturally using dirt. 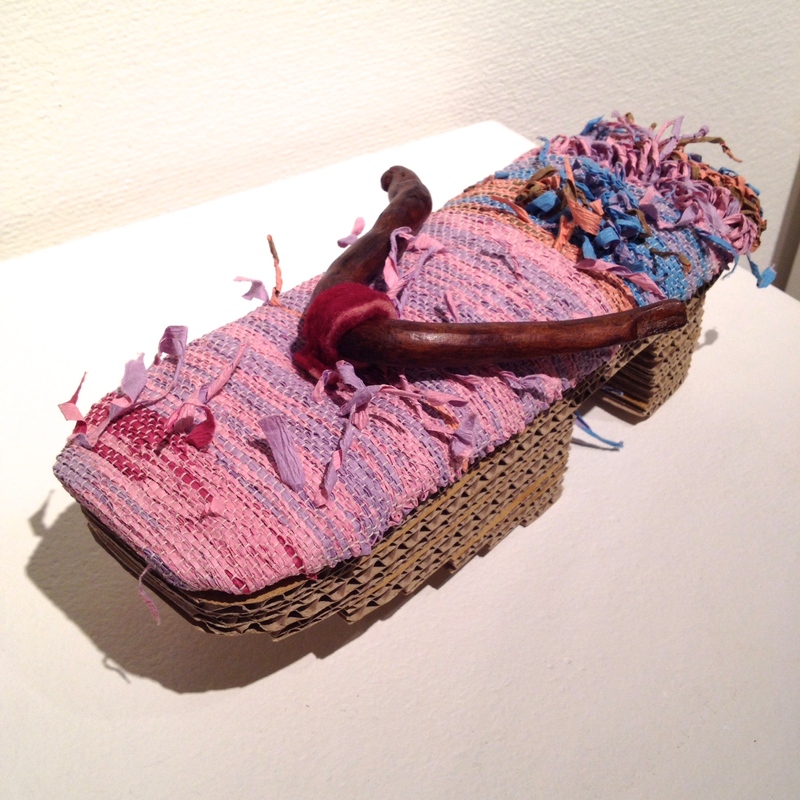 Yes, really, she uses dirt to delicately dye textiles of all kinds. A fun fiber she weaves in one of her looms is coffee filters. They take the colors beautifully as you can see in this traditional geta, titled Spring. Her amazing dyed textiles are constructed into bags, jewelry and more. Stop by AC Gallery in Ginza to see her work soon! Show ends Sunday.